This 20-year-old deck looked good and was still providing service until it collapsed last winter under the weight of more than 50 lbs/sf of snow. It was a total loss. The pressure-treated wood was in surprisingly good condition, but the 2×6 frame was marginal for the span. 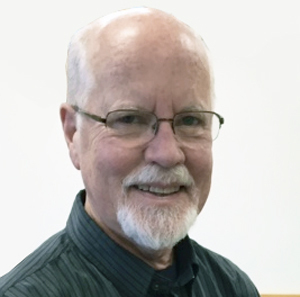 Collapse of the deck revealed that it was nailed, not bolted to the wall, applied directly over pre-existing cedar shingles, instead of the house sheathing, and there was no flashing. The front beam was resting on 2×4’s on a bit of concrete poured on the ground. 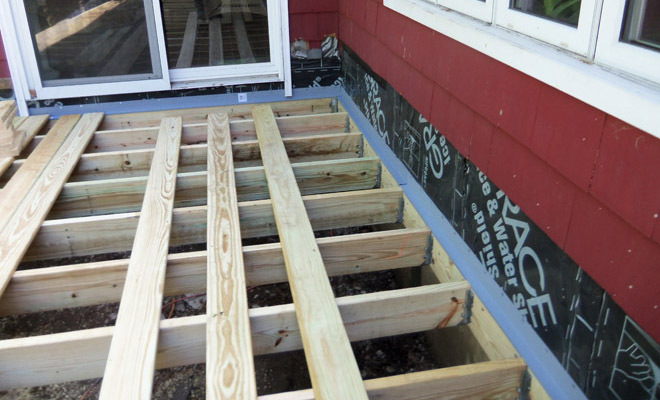 The result was that before we could begin constructing the new deck, we had to completely remove the old deck, repair some rotted framing and replace sheathing a couple of feet up the wall. 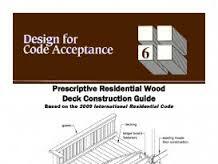 Download the Prescriptive Residential Wood Deck Construction Guide (DCA-6) based on the 2012 International Residential Building Code. 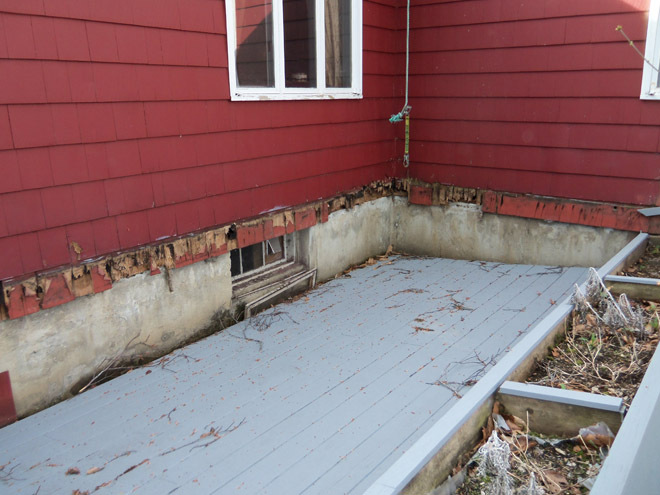 The deck collapsed in February, but it was April before the snow was gone. The snow load pushed the framing into the soil. 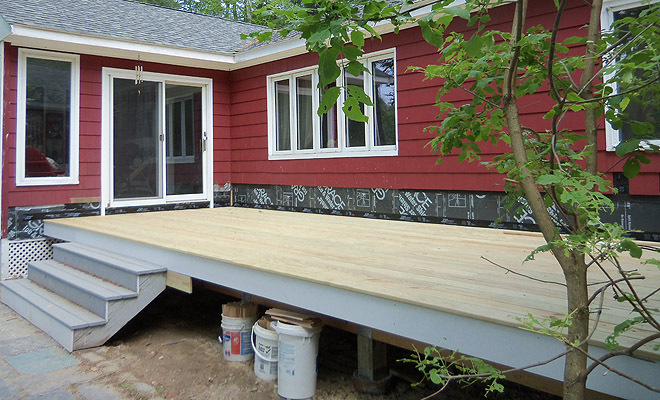 The deck was installed over the siding, without flashing. No bolts were used, and the nails had almost all rusted away. 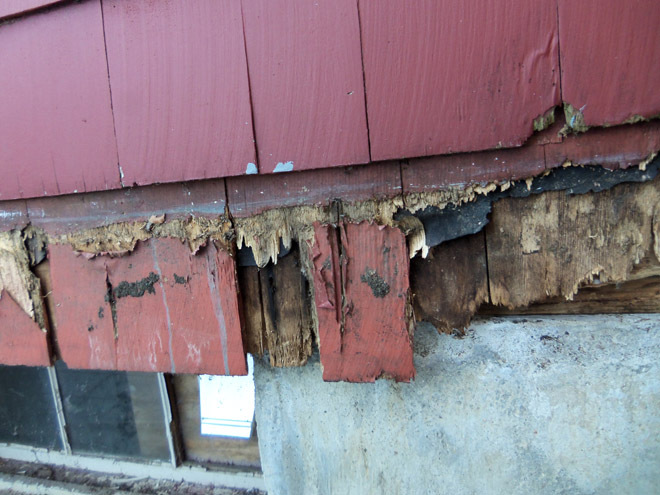 The shingles and sheathing were quite rotted, and we also had to replace some small sections of the sill plate. The house frame has been repaired, sheathing replaced, and covered with Grace Ice Shield. Next, the new deck frame will be bolted to the wall, and flashing will be extended over the deck frame before the deck surface and siding are installed. If the deck had been attached and flashed correctly, it would still be standing today, in good condition. The collapsed deck was sitting on 2×4’s stuck in concrete poured in a shallow hole on the ground. 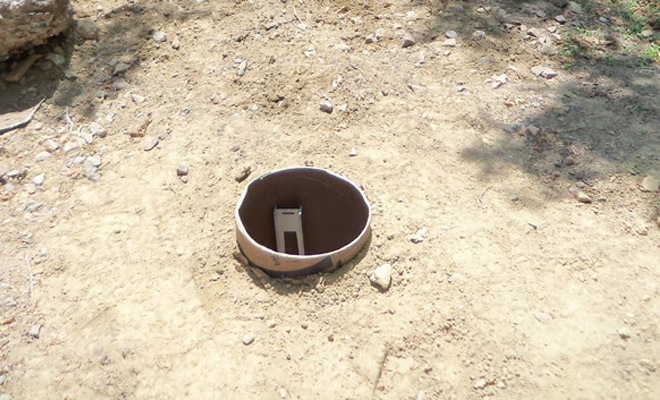 Here you see the new 10″ diameter sonotubes in 48″ deep holes, the day before we poured concrete. My 4′ level is in the hole. The old concrete base is lying next to it. 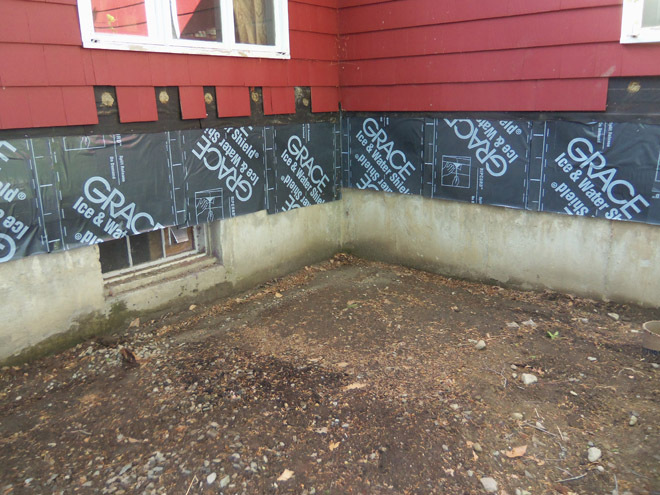 In this progress photo, we have repaired the damaged wall, and installed Grace water shield two feet up. We lagged the new deck frame to the house. The 2×8 joists are attached with galvanized joist hangers, and vinyl flashing goes over the edge. It in turn will be flashed to the Watershield with Zip System adhesive flashing. Pressure-treated decking has been installed. We are able to re-use the stairs, which were rebuilt a year ago. 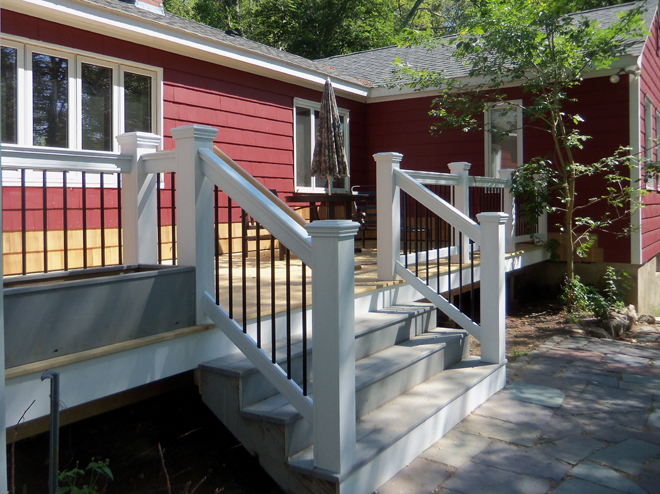 The code requires stair rails when there are four rises, and deck railing when the deck exceeds 30″ in height off the ground, so that’s next. 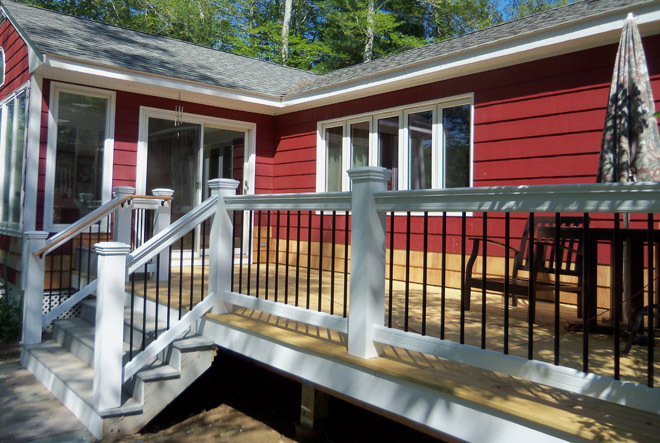 Deck posts are 4×4 pressure treated yellow pine, cased with Royal 4S PVC trimboards. The pressure treated railing kits are from Home Depot. I primed with oil paint followed by two coats of exterior latex. Note the 1 3/4″ additional stair rail. The code allows 1 3/4″ round for grip. I used fir rails , carefully sanded to remove any splinters, then treated with three coats of spar marine urethane. We set back the railing near the sliding door to clear a window, and that allowed the old flower box to be placed back on the deck. It had previously served as a substitute for a railing, which is not allowed by the code.